What did you do to/for your EZGO today? Re: What did you do to/for your EZGO today? spark plugs replaced...as we speak. hoping for better performance. Trying not to blow up the ezgo or my vascular system. spark plugs, am I missing something? 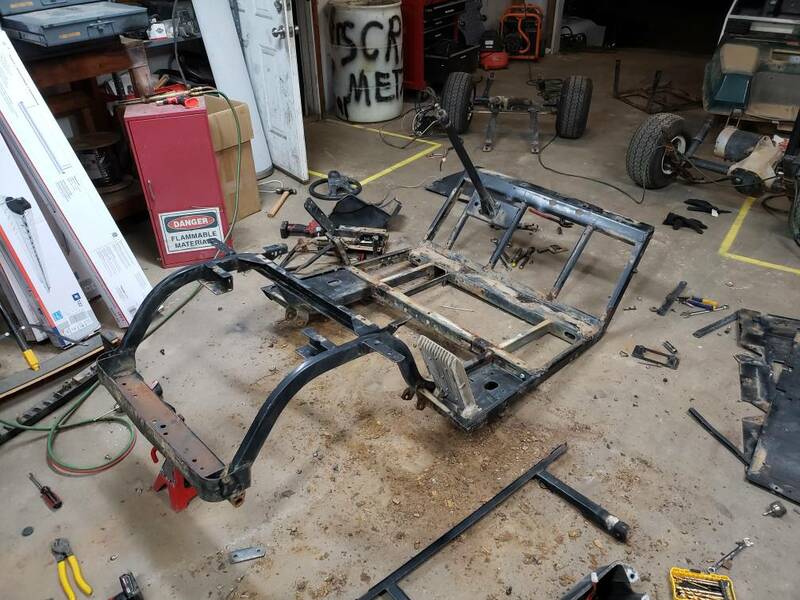 Stripped her down to bare frame to send to the sandblaster. well for awhile now, I have seen a slight on one of my batteries, but could never nail it down as to which. the way I knew one was leaking, I have always kept a large cardboard pad under my cart, as its it's easy to spot any acid after it has dried. ANYWAY I decided to pull the entire pack, and as I was taking each one out, I inspected them. I found that on one battery (8v), the SPEEDY CAP on one cell didn't engage and left a gap of about 1/16th" that I couldn't readily see with the batteries in the cart. so as I would drive the cart around, a small amount of acid could leak out when I would go around corners and the like. SOOOOOOO, I neutralized the battery tray, put a coating if rust inhibitor, and primed it all. today I will paint it, then let it dry for a day, then reinstall the pack.....and then AWAY I GO!! After pulling the whole battery pack and cleaning the battery pack tops, I neutralized the battery tray, put a coating if rust inhibitor, and primed it all. today I will paint it, then let it dry for a day, then reinstall the pack.....and then AWAY I GO!! its been long enough and the paint is dry....I'm about to re-install all the batteries and reconnect everything. just brought a new set tires for it. Fitted new side mirrors, turn signal kit and cell phone holder! 2 ga cables arrived today but knot enough time today for those! 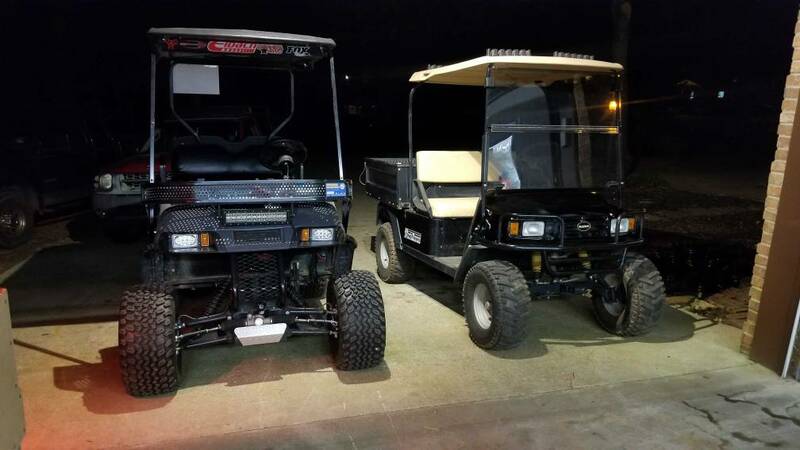 Was quite a busy week for the new 2019 RXV Lithium! New toy came today!!! Big Block Talk!